Emma loves to write. She always has. I haven’t always done so well fostering her love for writing, though. For years, her daily schedule was so full that she didn’t have much time to just ‘free write.’ Some of that was due to my over-planning, and some of that was due to outside commitments like co-op and dance. A couple of years ago, because it is something she loves dearly, I created a writing jar for her. She loved it! I typed up and printed out over 50 fun writing prompts. I cut those prompts into strips, and I put them in a jar. I tried hard to arrange her schedule so that she had free time each week to write. When she got writer’s block or needed a little inspiration, she picked a strip from her jar and wrote on that topic. When I’m passionate about something, I make time for it in my day. I try hard to find time to read and crochet and blog. If I want my kids to pursue their passions, I need to help them find time, as well. Now that Emma is older, I don’t really have to do that. She’s pretty good about making time on her own. 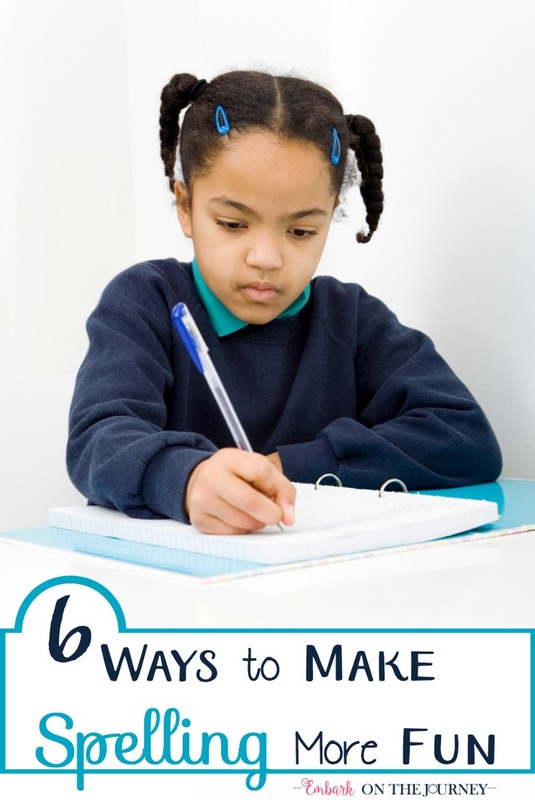 Where can you build time in your kids’ schedule to allow them to write? Throughout the year, we pick up spiral notebooks and journals that catch her eye. Sometimes, if she’s journaling, she’ll just grab a notebook and go. Other times, when she’s working on her ‘novel,’ she grabs a specific notebook. She likes to have a few blank ones on hand for when a new idea pops into her head. She also has a bucket of writing utensils on hand. She likes mechanical pencils , because they don’t have to be sharpened. She loves her Frixion erasable gel pens , because she can write with colors and still erase her mistakes. And, she loves her Crayola Twistables so she can illustrate as she writes. My kiddo suffers from hand-fatigue when she writes too much at one sitting. We’ve purchased special pencils designed to help with this. We also bought her a mini-laptop to type her stories on. The internet on her laptop crawls at a snail’s pace so she doesn’t ever go online. It’s perfect, however, for her to pick up and type when she’s feeling creative. 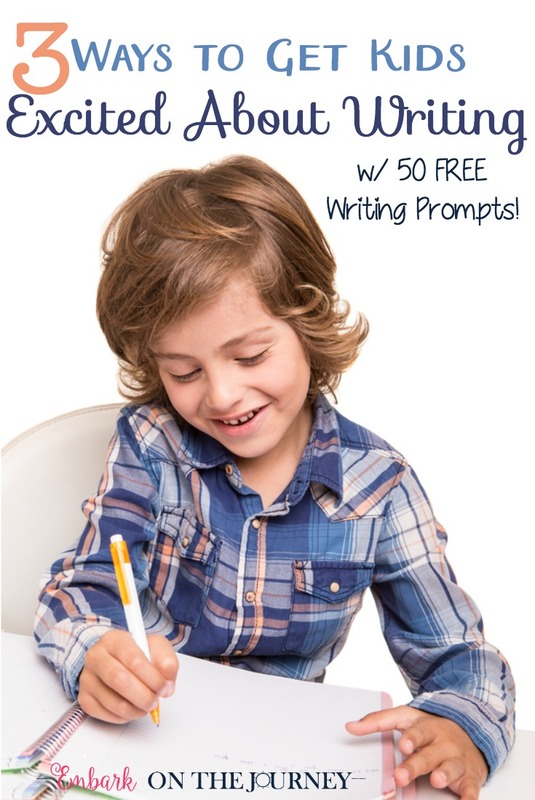 There are over 50 writing prompts in this printable pack. The topics vary, but there is something for everyone. I think they’re all pretty gender-neutral so they’ll work for boys and girls. As I mentioned above, I printed them out and cut them into strips. I folded the strips so Emma couldn’t see the prompt before she chose one for the day. I kept the prompts in a large mason jar in the school room. Since I originally created this pack, I’ve added a set of individual writing prompt pages. These pages are perfect for kids who prefer to write on pre-lined paper instead of loose-leaf paper. 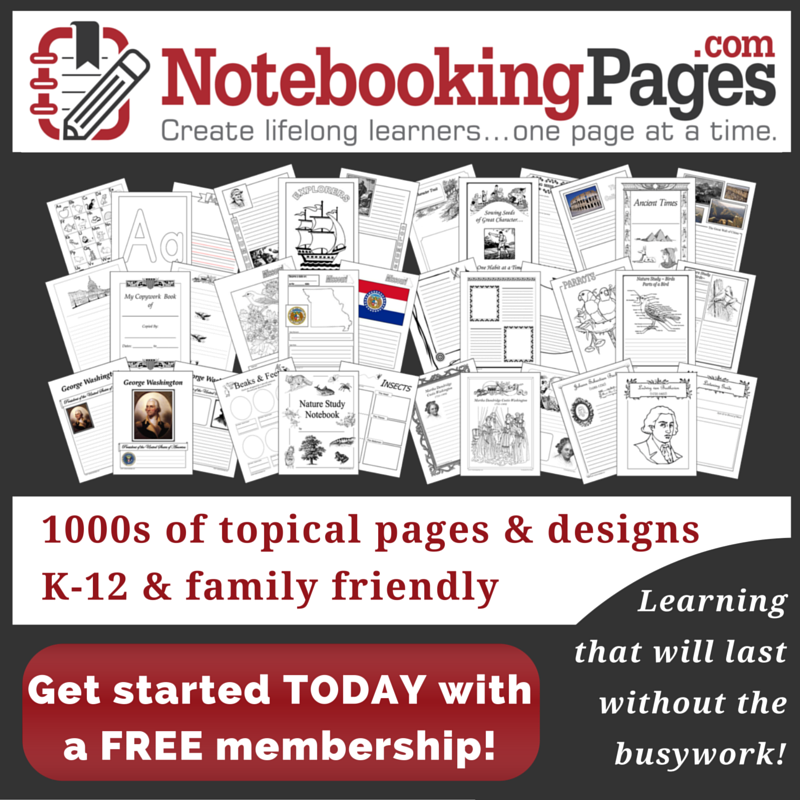 I’ve bundled them into one pack so that you can use whatever works best for you and your homeschool. 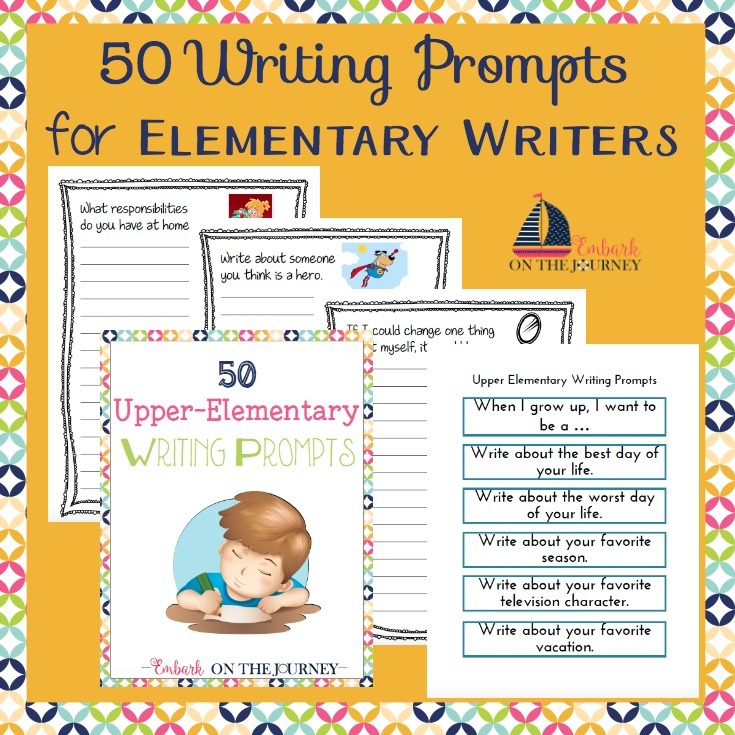 To access the Elementary Writing Prompts are ONLY available to my subscribers. I love these ideas, and I never knew there were special pencils for writer’s cramps. I’ll have to look into that for my 9 yr old. Great resources! Thanks for sharing at Funtastic Friday. Oh I love the writing jar idea and I’m printing out the prompts for my kids to start using it this week!! Thank you so much. Yay, Jessica! I hope your son loves them. Be on the lookout for a new set to be released in December!